The Chocolate Covered Cherry Cordial is the consummate Valentine's cocktail. It's perfectly sweet and chocolaty with just the right touch of cherry, like a cherry cordial in a glass. 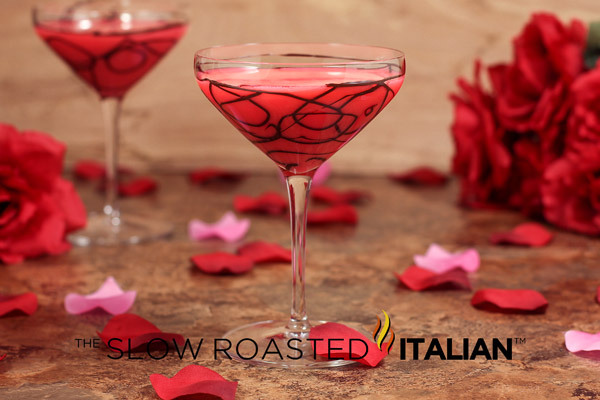 Pick up a dozen roses and the ingredients for this romantic drink and sweep your sweetie off their feet tonight! Valentine's Day is very special to Chad and I. However rather than getting sucked into the crowded restaurants we take the night at home. Our favorite dinner and cocktails. Something sweet for me? Yes! Pour me a Cherry Cordial Cocktail please. I know your mouth is watering just looking at that fantastically scrumptious cocktail. The cocktail starts with a chocolate swirled cocktail glass and only gets better from there. Cherry vodka and chocolate liqueur create a flavor explosion. The Chocolate Covered Cherry Cocktail is absolutely the best Valentine's Day present! Who needs a box of chocolates when you can have this luscious chocolate cherry cocktail. Kick off your heels and pour yourself one tonight! 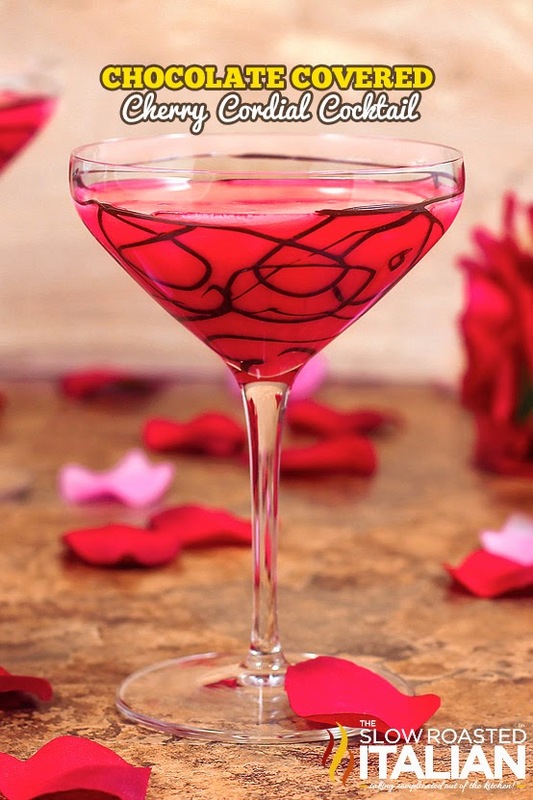 Check out our favorite sweet cocktails for your sweetie. Click on the image or the link to open in a new window. Recipe is at the bottom of each subsequent page. 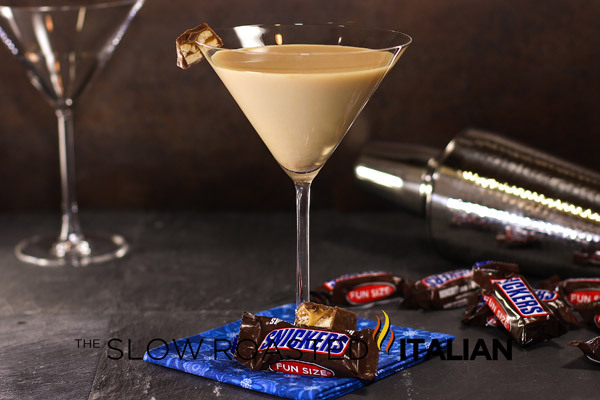 Snickers Martini Cocktail features rich chocolate, caramel, vanilla cream and peanut butter. They all work together to create this delightful Snickers inspired cocktail. 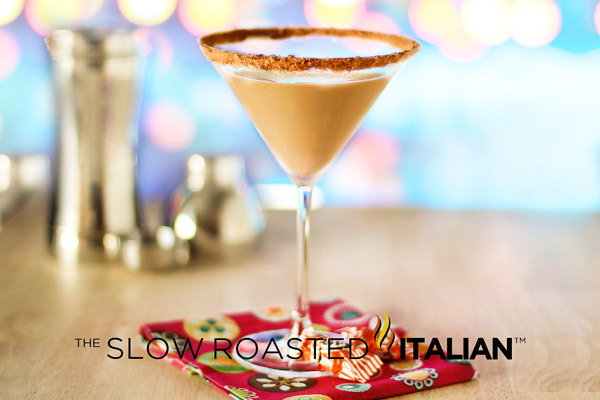 Packed with peanut flavor this Snickers Martini cocktail surely hits the spot! Reese's Peanut Butter Cup Cocktail is a magical blend of chocolate and hazelnut liqueurs and a few items from your kitchen pantry that come together to create the most authentic peanut butter cup cocktail you will ever taste. It is truly enchanting. Root Beer Float Martini - it is like no other. Sweet, creamy and delicious. Pure root beer barrel goodness served up in your new favorite martini! 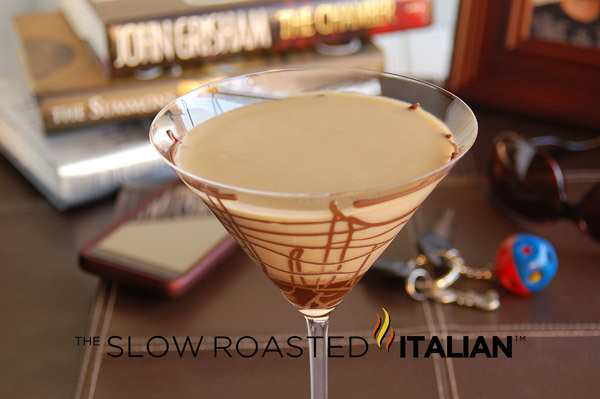 Prepare 2 martini glasses by swirling with chocolate syrup (or melted chocolate). Set aside. Fill a cocktail shaker with ice. Combine remaining ingredients. Shake well to combine. Strain into prepared glasses. Serve and enjoy! Ha, truffle oil makes everything better. Oh wait, that's not what I mean. :) That is too funny. Thanks for the invite/shout out and the kind words. We're looking forward to this. Love your ladies night each week, Chad and Donna. That is a gorgeous drink! Thanks for hosting. The Chocolate Covered Cherry Cocktail looks fabulous! Happy Valentine's Day and love the new format for Ladies Night!! I want to come to this party!!! What a fabulous array of yumminess!!! Hi Donna. I love your website! Your food and personality are very welcoming. :) I have linked to your party in my submission. I'm in love with this!! Oh my. Pinned!